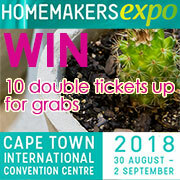 Cape Town Homemakers Expo, in association with Hill’s Pet Nutrition and Domestic Animal Rescue Group (DARG), have launched a Design, Art and Textile Design ComPETition, benefitting pets less fortunate than our own and rewarding local designers with over R50 000 in prize money. Goodbye Eskom! 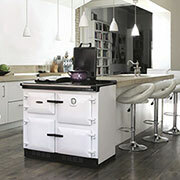 Cook when YOU want to, with AGA off-the-grid cookers. 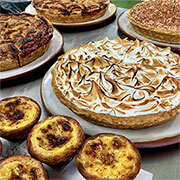 Appreciate freshly baked farm loaves and delicate, flaky croissants with farm butter and home-made jams. 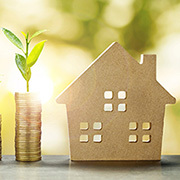 Research indicates that South African homes are getting smaller as buyers opt for compact design, and developers look at ways to increase profit margins due to increasing construction costs. Stage 2 load-shedding this weekend! South Africans should prepare for a dark weekend as Eskom announces stage 2 load-shedding until Sunday. 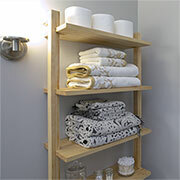 We have had so many requests for this project that you can now sign up for a workshop to make your own above-toilet shelf unit. 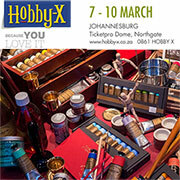 Pratley’s new FrogzEggz®, in addition to its full Kraftex decoupage range, will be on display at Hobby-X from 7 to 10 March at the Dome in Northgate, Johannesburg. Research shows that in 2019 properties are taking longer to sell so it's important to make your home attractive to buyers. Head to the AVA Gallery in Cape Town from 28 to 29 March 2019, where work by entrants into South Africa’s most supportive awards programme for emerging creatives, the PPC Imaginarium Awards, will be on display. Get ready for 2019 from 7 to 10 March 2019 at the TicketPro Dome, Northgate. 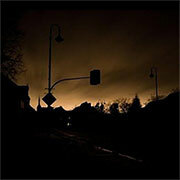 Are you prepared for load shedding? 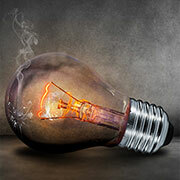 Eskom assures us that future load shedding might not occur - but also that load shedding will be implemented at short notice. 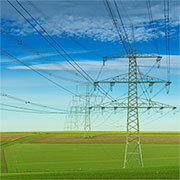 Are you prepared for load shedding? Imagine having a mattress that stretches your spine while you sleep! Now that dream is a reality with the new Magniflex MagniStretch Mattress, available exclusively at Vencasa stores. 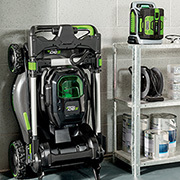 Judging by the number of emails and telephone calls I have received so far this year, there is an increasing demand for skills training in the DIY sector. 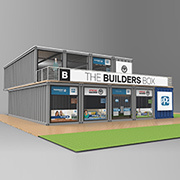 ITC-SA has partnered with the KZN Construction Expo to highlight timber construction information and expertise to the province. The Department of Trade and Industry (DTI) invites you to the Stakeholder Workshop on the promotion of the use of timber in construction. 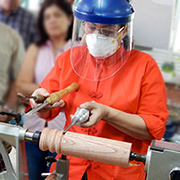 The main purpose of the workshop is to create a platform for industry to discuss the importance of a wood culture society. 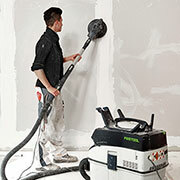 Festool explains why clean air on the construction sites is important - for health reasons, longer tool life and work quality. 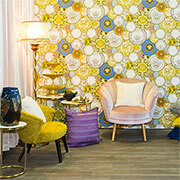 Hosted over 4 days from Friday 22 to Sunday 24 March 2019, Decorex Durban is where you can expect to see the finest concepts and products. 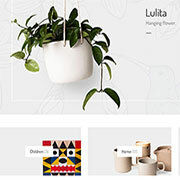 The Design Indaba Festival is an celebrates design and creativity, and showcases the hottest and most relevant talents across a range of creative sectors. Creating a brand and then making it successful is not just an easy task to do - it takes a lot of efforts, hard work and dedication to make it a success in a passage of time. 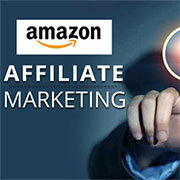 Amazon marketing; A word that comes up with a lot of opportunities to the marketer and the customer as well. It is indeed a great platform that has worked as a helping hand to hundreds of jobless people globally. 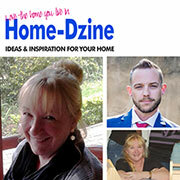 Home-Dzine.co.za is one of South Africa's leading home-related websites that also attracts a lot of attention around the world, but who is Home-Dzine? 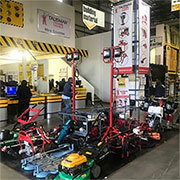 There is probably going to be a time when you need to hire tools for a project - and now you can visit Talisman Hire inside select Builders Warehouse stores around the country. 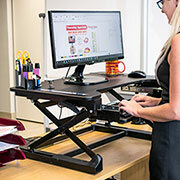 The new Tork Craft Adjustable Stand Desk offers a quick set up for an instant work station. With load shedding already a reality in several parts of the country, Eskom has now implemented stage 2 load shedding in Johannesburg - just in time for Christmas! 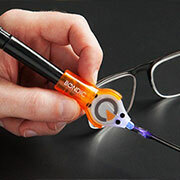 Vermont Sales is excited to introduce the BONDIC Liquid UV Welder - the world's first liquid plastic welder that bonds, builds, fixes and fills in seconds! 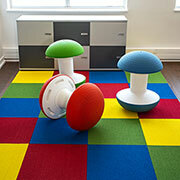 Offices can say goodbye to boring neutral carpets from mid-November with Nouwens Carpets’ soon-to-be-launched Accent Colour Range. 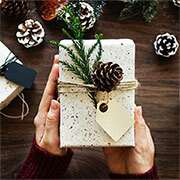 Calling all DIY Divas and DIY Guys for our Christmas full day workshop and Gift Voucher ideas. 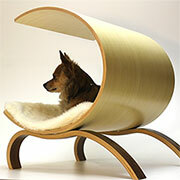 Sleep is as essential to living as water and food, yet is taken for granted, and many of us, deprive ourselves of it. 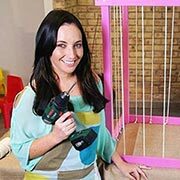 Established in 2007, DIY Divas are an organisation founded by Janice Anderssen that offer DIY workshops around the country. 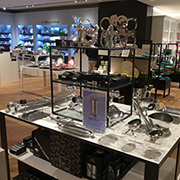 October 2018 has seen the opening of three Builders stores which carry the new Builders aesthetic. 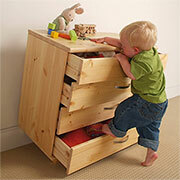 3 Easy DIY ways to child-proof a home to keep child safe. 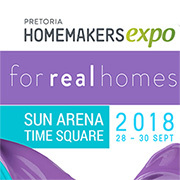 Pretoria HOMEMAKERS Expo takes place from Friday 28 September to Sunday 30 September 2018 - don't miss it! As Spring signals new beginnings and heightened levels of creativity and inspiration, Builders took advantage of the buoyance of the new season by hosting its first #BuildersArtFest 09 September. 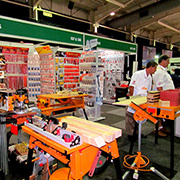 It’s showtime again for all woodworkers with Working with Wood at Pietermaritzburg Kwa Zulu Natal Show - 7 - 9 September 2018. 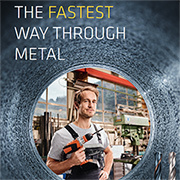 Vermont Sales takes its leading international brands to this year’s Electra Mining Show - Hall 9 Stand B07 Expo Centre Nasrec, Joburg 10 to 14 September 2018. 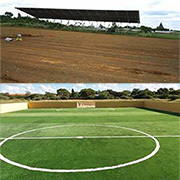 Danville Primary School, Mahikeng was the site of the unveiling of the first multipurpose sports field in the region, made possible by Builders, SuperSport, Hitachi and Active Education. With the introduction of the Consumer Protection Act, consumers are protected against being treated unfairly when purchasing a home. 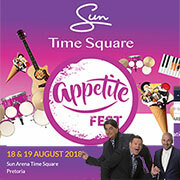 Diarise 18 and 19 August so you don't miss out on Appetite Fest taking place at Sun Arena Time Square, Pretoria on 18 and 19 August 2018. 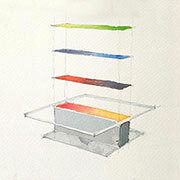 Colour Field, a new group exhibition at Southern Guild, will offer an immersive experience of colour. Pratley stunt not a prank! 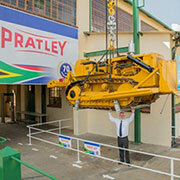 Pratley to replicate famous suspended bulldozer stunt on Friday 13 July. Here's your chance to be treated to a comprehensive display of the top brands and local craftsmanship… all under one roof. 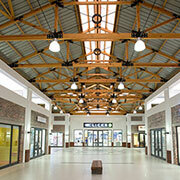 ITC-SA awards to recognise excellence in timber construction industry. 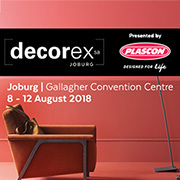 The 5th annual 100% Design South Africa takes place from 8 to 12 August 2018, alongside Decorex Joburg. The East Coast Radio House & Garden Show, supported by Durban Tourism, will take place from 29 June to 8 July at the Durban Exhibition Centre. Furniture giant Ikea has recalled one of its ranges due to child deaths, which is why it is of the utmost importance to secure furniture to walls in a child's bedroom. 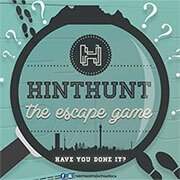 HintHunt in Joburg offers thrilling adventures and non-stop fun for the entire family. 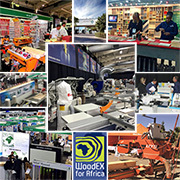 WoodEX for Africa is preparing to host a bumper edition show from 11 to 13 July 2018 at Gallagher Convention Centre in Midrand. 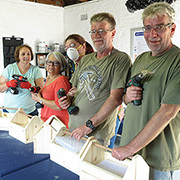 Join the DIY Divas in Randpark Ridge during June and July 2018 for a variety of informative and practical demonstrations on making a chest of drawers, kitchen cupboards and drawer units, as well as basic closet systems. 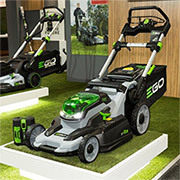 Recently launched in South Africa at Decorex Cape Town, EGO Power is leading the green revolution in gardening and landscaping. 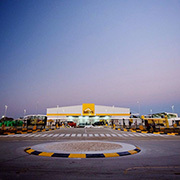 The store in Gaborone, Botswana was opened in September 2011 and was followed by stores in Mozambique and Zambia over the next few years. Imagine a fire breaking out in a densely-packed shopping centre. 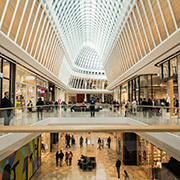 Are you sure you know where the nearest emergency exit is, or even if that particular shopping centre has the necessary equipment and evacuation planning in place? 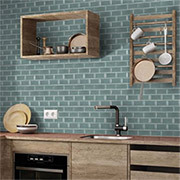 Italtile launches a new range of Mini Porcelain Bevelled Mosaics for use on kitchen splashbacks, shower walls, or for feature walls. Rooms on View makes its anticipated return in 2018 with alluring room-sets and never before seen collaborative exhibits. 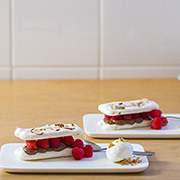 With the participation of over 2,100 restaurants in 2017, local restaurant-goers are encouraged to partake in this intimate showcase of France’s superb food offerings, with CHEFS as the destination. 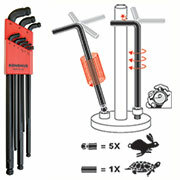 The innovative Snap Jack system is specifically designed to give you back your living space. 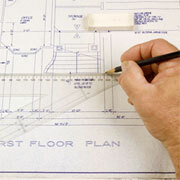 Are your building plans up to date? 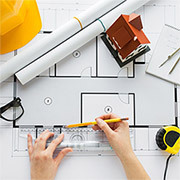 Did you know that it is essential to have your house in order before you sell your home and one of the things that can cause massive delays in the transfer process is an issue with building plans. 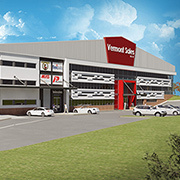 Leading tool and accessory wholesaler Vermont Sales puts its success down to its blue chip International brands and its exceptional service to the trade over 32 years. 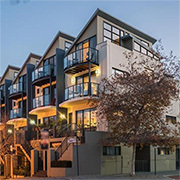 Roads, electricity, sewerage and, most notably, water have a noticeable impact on property development throughout the Cape Town region, because new sites cannot be serviced. I often get asked about buying secondhand tools and while there are some tools that you could consider, there are others you definitely don't want to buy. 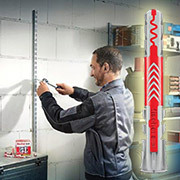 Fischer introduces technically-advanced anchoring system for a range of building materials. Products as far as the eye can see from over 350 exhibitors. 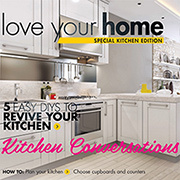 See the latest in home renovation, exciting interiors, and more. 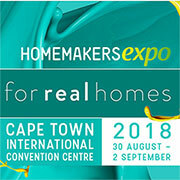 Meet professionals in the industry with exclusive insider tips and expert advice - all this at the Joburg Homemakers Expo 2018. 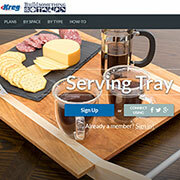 When buying any Kreg product, you automatically have access to their exciting newsletters, free plans and projects, and announcements of all their new products and upgrades on current products. 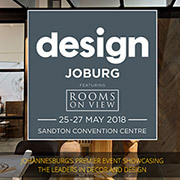 Here's a list of Home and Design Shows and Exhibitions you will want to diarise for 2018. 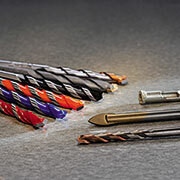 Alpen introduce PROFI GRANIT, Tungsten Carbide Granite drill bits for rotary and percussion drilling of granite and marble. 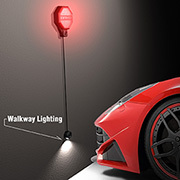 Rawlplug is a globally recognised brand and market leader in an industry they helped create over a century ago. 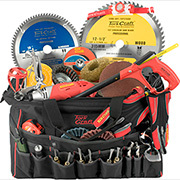 It continues to be the brand of choice for both professionals and amateurs. 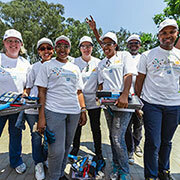 For the 20 disabled children who live at the Kungwini Child and Youth Care Centre in Pretoria East, life has just been made considerably better thanks to an initial donation of over R100 000 from PPG’s Colourful Communities programme and Prominent Paints. 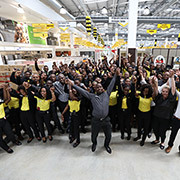 Well known paint company, Perfection Painting Supplies, a brand with a reputation in the community and credibility that stretches back 22 years - has officially converted to a Prominent Paints franchise partner store. 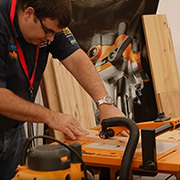 The largest timber trade exhibition on the continent, WoodEX for Africa plays host to the most specialised, yet comprehensive range of equipment, tools, machinery and wood products available on the market. 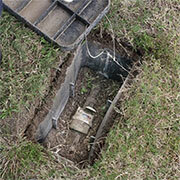 Who is responsible when a Municipal water meter is not working? 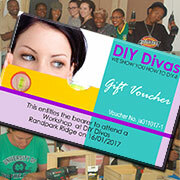 DIY Divas offer you the opportunity to give the gift of DIY to someone you love, with a DIY-Divas Gift Voucher. 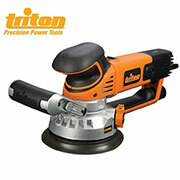 Win a Triton TGEOS Orbital Sander valued at R4949. 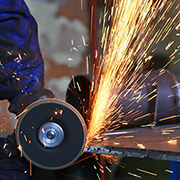 All you have to do is share what you have been up to in the workshop! 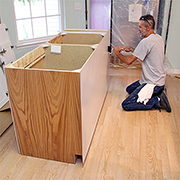 When it comes to home improvements or renovations it's good to know when you should hire a professional to do the job, in order to ensure your investment retains its value. 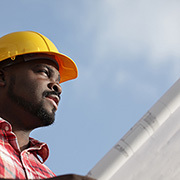 The ITC-SA will be hosting another Roof Inspector Training Course at its head office in Isando from 21-23 November 2017. 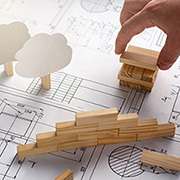 How does bonding a timber structure differ from other construction types, is a timber structure a financially sound investment and how will this be impacted by South Africa’s impending Carbon Tax Law? 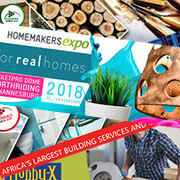 WoodEX for Africa, the largest trade exhibition in Africa dedicated exclusively to the timber trade, is gearing up for its milestone fifth installment taking place at Gallagher Estate in Midrand from 11-13 July 2018. 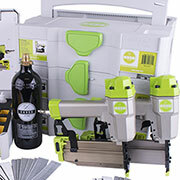 Festool takes an industry lead in cordless tool technology, service, and innovation the German brand now dominates the top spot for quality, durability and range. 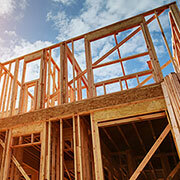 The Institute for Timber Construction South Africa (ITC-SA) issues a notice on compliance of laminated timber beams to be used for structural purposes. 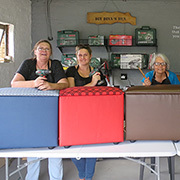 DIY Divas offer a selection of basic upholstery workshops where you can learn how to upholster an ottoman or a headboard. The upholstery workshops take place at venues around the country and are open to all ages. 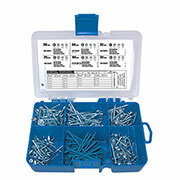 The Kreg Pocket-Hole Screw Starter Kit assortment is perfect for getting started making your own furniture and accessories, and for making strong repairs. 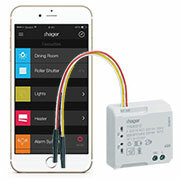 Existing electrical installations can be transformed into a ‘smart’ home without any extra construction work or cable routing, thanks to Hager’s coviva wireless retrofittable technology. 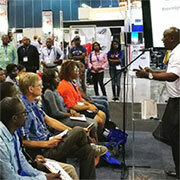 Roof Erector Training, hosted by On Site Best Practice (OSBP), specialists in training for the waterproofing and roofing industries, will be taking place at Northlink College in Belhar, Cape Town, in September. At DIY-Divas we host a variety of upholstery workshops to introduce beginner DIY enthusiasts to the basics of upholstery techniques. 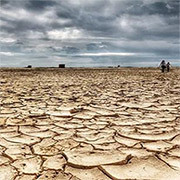 South Africa is currently facing the worst drought since the 1980’s and with circumstances set to remain stagnant even if we do receive sufficient rainfall. This weekend was jam-packed for DIY Divas in Durban for both ladies and men. 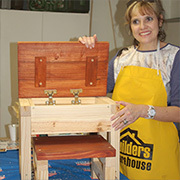 The Beginners / Intermediate DIY workshop is just one of many hosted by Ally Moir or DIY Divas in Durban North. 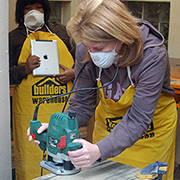 This Saturday, the DIY Divas guys and gals got to grips with using a router for furniture projects. 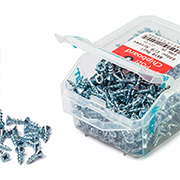 If you buy screws at a certain hardware store, the packaging can be confusing - so check that you buy the right screws. 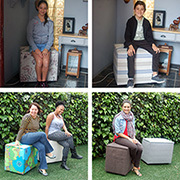 This Saturday the DIY Divas in Durban made an Upholstered Storage Ottoman, kicking off on a wide selection of furniture making workshops for Durban and KZN. 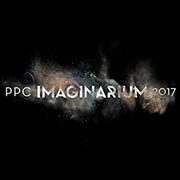 The Call for Entry for the fourth edition of the PPC Imaginarium Awards has officially opened and the competition is inviting entries for its 2018 round. This weekend saw the launch of DIY Divas in Durban, KZN. 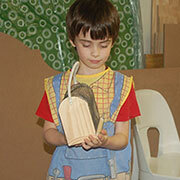 Hosted by Ally Moir, DIY Divas this weekend held its first beginners and intermediate workshops. 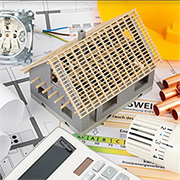 The ITC-SA will be hosting a free CPD-accredited workshop on the practical and legal aspects of the National Building Regulations with specific reference to SANS 10400 Part L: Roofs. 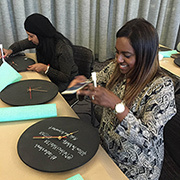 Join the DIY Divas this August and September for a variety of Beginner Workshops and Furniture Making Workshop in Joburg, Pretoria and Durban. Buy a house for your kids! 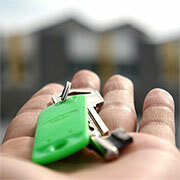 We all want the best for our kids, and today that means helping them buy their first starter home. 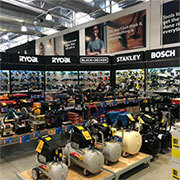 Vermont Sales has given their customer Training Academy centre a complete new face lift. Additions include a fully stocked workshop with all the latest technically advanced tools and equipment, plus new lecture centre. 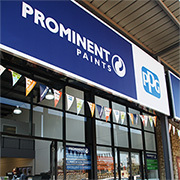 Prominent Paints opens its first franchise paint store in Midrand. We are pleased to announce the re-launch of DIY Divas in Durban. 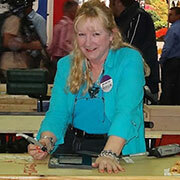 Ally Moir will be hosting a variety of DIY Divas Workshops from her venue in Durban North. 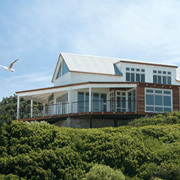 Rustic Homes, forerunner of timber home design and construction in South Africa and leader in the field since the 1980s, has recently undergone a change of ownership. 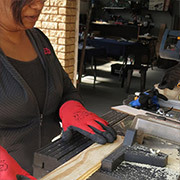 With Women’s Month fast approaching, the Institute for Timber Construction South Africa (ITC-SA), spotlights three of its female members, who share their experiences as women in construction. 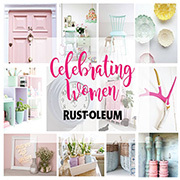 Women have revolutionised the DIY sector by injecting creativity, enthusiasm, and a will to succeed. 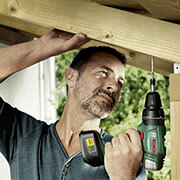 Bosch, as a major sponsor of some the biggest household names in the South African DIY industry, understands that power tools are no longer the exclusive domain of men. 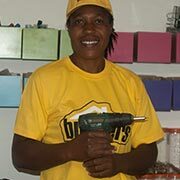 Marlene Cronje, our current DIY Diva in Pretoria, will be leaving at the end of May and the Pretoria DIY Divas workshops will be hosted by Nancy Muchangwa. 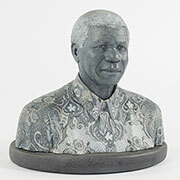 South Africa’s most supportive art and design competition, the PPC Imaginarium Awards, announced its Overall Winners. 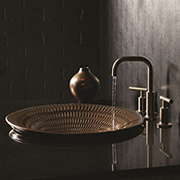 Bathroom specialists, Kohler, have collaborated with expert designers at Design Joburg from 12 – 14 May 2017, where their design innovations will be showcased. 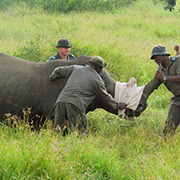 Saint-Gobain Gyproc South Africa has announced a three-year sponsorship of the SANParks Honorary Rangers aimed at furthering efforts to protect rhinos and augment anti-poaching strategies. 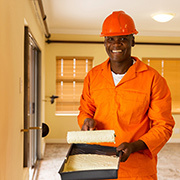 Prominent Paints is addressing the skills shortage within the local paint industry, offering free paint courses to experienced and inexperienced painters. 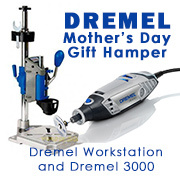 Ask any mom who has attended a DIY Divas workshop what she would like to receive for Mother's Day, and the answer is sure to be... power tools! 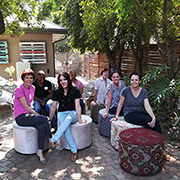 If you want to make your own furniture but don't know how or where to start, now's your chance to sign up for a DIY Divas Workshop in Cape Town, Joburg or Pretoria. 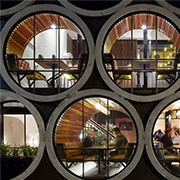 The country’s most supportive art and design prize has once again garnered unprecedented attention from aspiring creatives, achieving a record number of entries into the competition – with an impressive 869 registered entries received. Whether you like to holiday at the coast or go globe trotting, Airbnb helps make accommodation easy, enjoyable and safe. 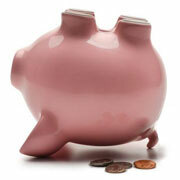 Plus, you can earn extra income at the same time. 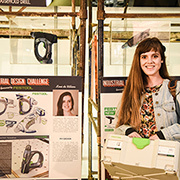 Kari de Villiers, a 4th year BA Honours student, was announced the overall winner of the 2016 Festool sponsored University of Johannesburg faculty of Art Design, Architecture, and Industrial Design challenge. 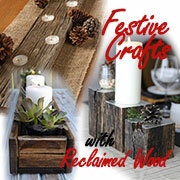 Working with Wood in association with Spiros Mica have planned a feast of exciting activities for the Cape Show. 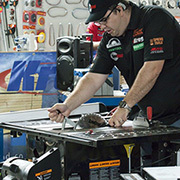 Blue chip international brands from all over the world will have their latest top range and tools on display. 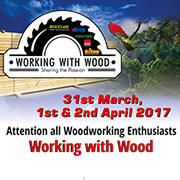 Amateur or advanced woodworkers have the opportunity to win a full set of all Triton products currently available in South Africa. 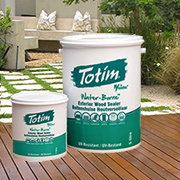 Woodoc Totim is a water-borne exterior sealer that is ideal for all exterior wooden surfaces exposed to severe weather conditions. 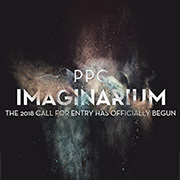 This year, the PPC Imaginarium Awards has assembled an extraordinary group of some of the industry’s most influential and outstanding creatives on the national and regional judging panel, who will evaluate the various category submissions, choose category finalists and the overall winner. 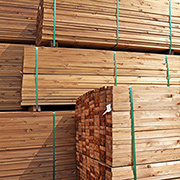 As the South African construction market experiences a shortage of structural timber, imports of the material have become necessary and are on the rise. 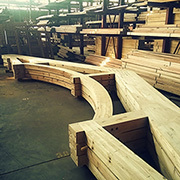 In the light of this, the Institute for Timber Construction South Africa (ITC-SA) stresses that all structural timber destined for – and employed by – the South African market must be compliant with local legislation. 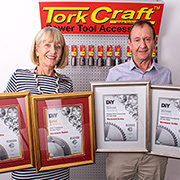 Vermont Sales, a leading supply company in the Power Tool and Accessory business, has, probably, the largest selection of blue chip international brands and huge product range, has cemented a name for itself in the industry over the past 30 years, winning numerous awards. 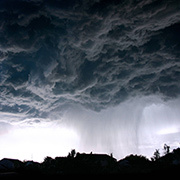 Is La Nina on the way? 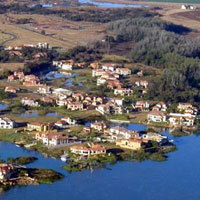 According to scientists, the coming of La Nina will bring extremely wet weather and possible flooding. Is your home prepared? 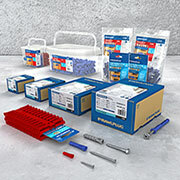 Celebrate the imminent arrival of Spring with the Tools4Wood Spring Competition and you could win a Bosch PSR Select driver and Kreg K3 pocket hole jig. 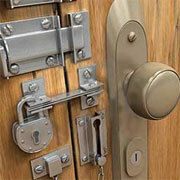 Introducing the LockLatch window or door security. 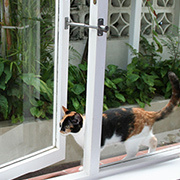 LockLatch offers a new layer of improved door and window security to stop opportunistic theft so that you and your family can live in safety and sleep peacefully at night. 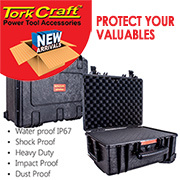 Tork Craft offers a wide selection of PLC cases to protect your valuables. 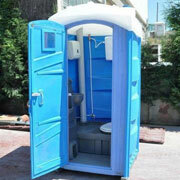 These cases are water and dust proof and are fitted with wheels for mobility. The plunging rand and the effects of one of the worst droughts in living memory will make 2016 a tough year for SA consumers. It's fairly obvious that South Africans are going to be severely affected by the downturn in the economy. 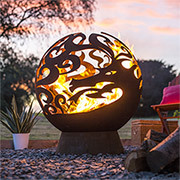 This year’s Working with Wood Show to be held at the Nelson Mandela Metropolitan University, Saasveld, George, from August 26 to 28 promises something for the ladies. 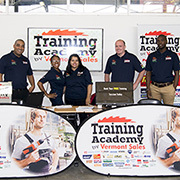 Bookings are now open at the Vermont Sales Training Academy. 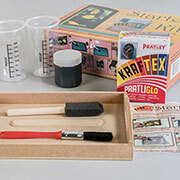 Book for airbrush training, drill bit science, wood and metalworking, and a selection of other workshops. 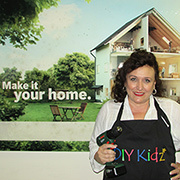 If your kids are distracted by cell phones and tablets, take advantage of this craze and to get your children to do some practical, hands-on work – by using social media on their devices to connect to the DIY Kidz show on YouTube. Make Your Home is a wonderful book filled with hand-made items that inspire creativity and make you want to start crafting immediately. 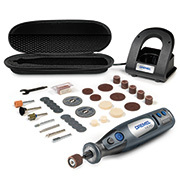 Here's your chance to discover the versatility of owning a Dremel MultiTool, plus a handy Workstation. 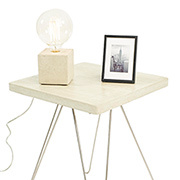 There's never been a better time to start crafting and DIY. 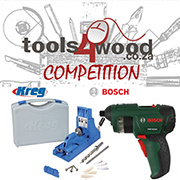 In celebration of Leap Year Tools4Wood, in conjunction with Bosch, Home-Dzine and Home Handyman Magazine, are running their biggest competition yet. 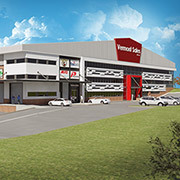 Vermont Sales has a brand new head office - designed and built to their own specifications, that incorporates a variety of green design elements, and is 40 percent larger than their old premises. 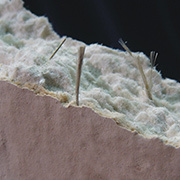 Asbestos is a dangerous material. 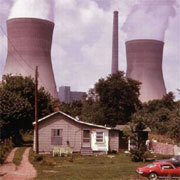 In addition to being the only known cause of mesothelioma, it can lead to other deadly diseases. 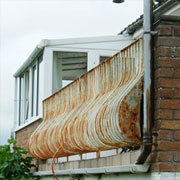 Unfortunately, not all homeowners are aware of the dangers of asbestos. Never have to worry about losing the key, or forgetting the combination. 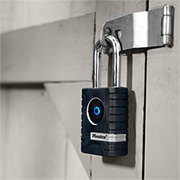 Master Lock Bluetooth Padlocks use the power of your smart phone! 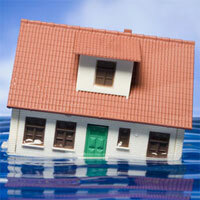 Are your household contents fully covered? 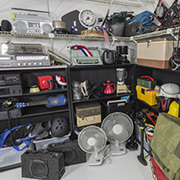 The contents of your home are valuable, both in terms of money, and sentimental value. If you plan on taking a holiday this year, make sure your home contents are fully insured and that payments are up to date. 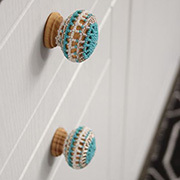 Limited edition beaded knobs add an African spin and a burst of colour to your cabinets and cupboards. 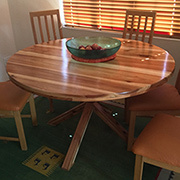 Sandile Sithole, Zulu craftsman has created a range of beaded knobs that enhance neutral kitchen designs and provide a contrast with brighter colour schemes, giving cabinets and cupboards an instant pick-me up. 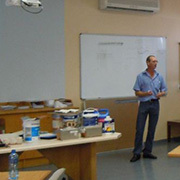 Prominent Paints is addressing the industry skills shortage within the local paint industry through its Training Academy. Since its inception almost 35 years ago, the academy has invested in the training of almost 12 000 learners; a number the Group is committed to growing. I have reached my limit for being without power during load shedding. It's time to join the Gennie Generation and power up when the power is down! 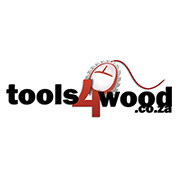 The new www.tools4wood.co.za website is up and running and they would like to invite you to pop onto the new site and take a look around. 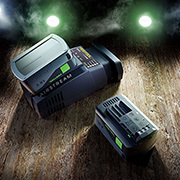 With the reality of load shedding, the conversation has moved from ‘Why Eskom’ to ‘How do I get power?’ While the immediate reaction to power outages is to rush off and buy a generator - these appear to be the most popular choice because they seem to be the most widely known. 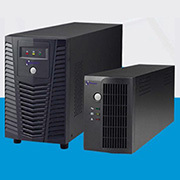 But what about investing in an Inverter? 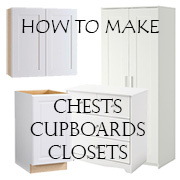 Most homes have cupboards, closets, and even entire rooms, that are filled with clutter that's no longer needed. Why not organise all these areas and earn a bit of extra cash for items no longer in use and spoil yourself with something you need. 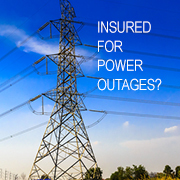 Are you covered for power outages? Having access to schedules for planned shedding is all fine and well, but also turning into a boon for criminals. 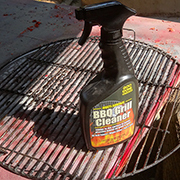 I was sent a box of Goo Gone products to try out which included their Goo Gone BBQ Grill Cleaner and Goo Gone Oven & Grill cleaner. Since I haven't previously used either product and was piqued by the fact that these cleaners use citrus power in their formula. 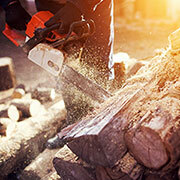 When you take on any home improvement projects it is essential to wear proper safety gear and also to take safety precautions when working with harmful or toxic products. As we move towards using safer products it makes sense to use those that don't put our health at risk. 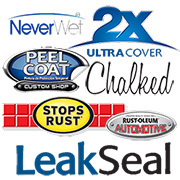 That's why we recommend using Pattex Contact Adhesives. 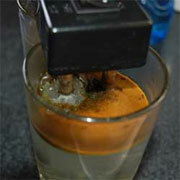 Pattex have recently launched a new product and I decided to put it to the test. 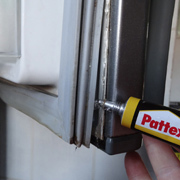 Pattex Repair Gel and Glue are suitable for use indoor and outdoors, since both products are waterproof once cured. 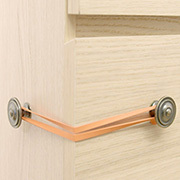 The bonding is also flexible and can resist temperatures between -50°C and 80°C, which is why I decided to try this out on the seal around my fridge door. 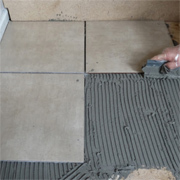 Join Janice Anderssen and Nancy Muchangwa as we tile a bedroom and provide you with the tips, tricks and techniques to tile your own home. 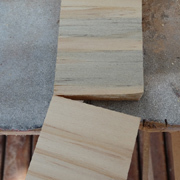 Although it's difficult to spot when buying laminated pine, do be aware that I recently bought 8 sheets of laminated pine, and 4 of the sheets have popped open along the seams when being cut. 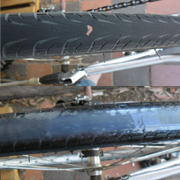 I found a post on that shows how to extend the life of a bicycle tyre using Neutral Cure Silicone. Parents of young children will appreciate the fact that it claims to extend the life of a bicycle tyre, which can be a costly exercise if you have two or more children riding a bicycle, so I thought what the heck... give it a try! 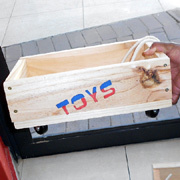 The Woodlands Boulevard Ladies Club got together on Wednesday 31 October, 2012, to make tug-along toyboxes for the Jakaranda Childrens Home. 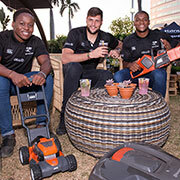 The event was organised by Woodlands Boulevard centre management, sponsored by Builders Warehouse at Woodlands Boulevard and held at the Woodlands Boulevard Spur. 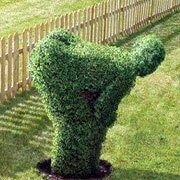 The boundaries between your properties mark where your rights end and your neighbours' begin. Having a knowledge of each others' rights and obligations is the first step in establishing a good relationship with your neighbours and enjoying your rights to the full. Whether you live in a townhouse, cluster development or free-standing home, at one time or another you may have or have to put up with noisy neighbours. 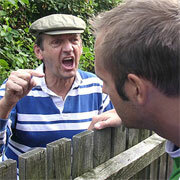 What does the law say about dealing with noisy neighbours and do you have to put up with it? 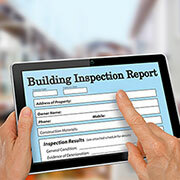 Although it's the law that home sellers have to be up front about defects, it's amazing what a coat of paint will cover up and you will only start noticing problems six months down the line - when it's too late for recourse. 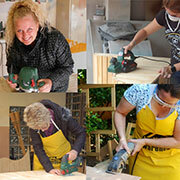 Why are more women getting involved in DIY? I have come up with various theories for this phenomenon. 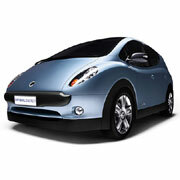 With the bulk of South Africa's electricity being generated from low-quality coal, Wits researchers have reported that electric cars will not reduce greenhouse gas emissions blamed for global warming. 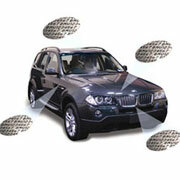 Is your car protected by DataDot? Microdot technology is a groundbreaking innovation in vehicle identification created to solve the problem of identifying stolen or hijacked vehicles... And it looks certain to revolutionise the motor insurance industry. Let's face it, 2011 was a tough year for all. Fuel prices going up, unemployment, groceries costing more, all contributing to a year we would rather forget. While the outlook for 2012 doesn’t look much better, with every new year comes a new chance to change one’s own circumstances... new year, new start. 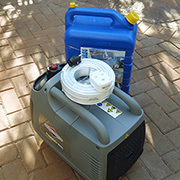 So far this year we haven't seen much rain up here in Gauteng, but that may change in the next couple of months and perhaps now is a good time to prepare for any eventuality. Everyone looks forward to going away on holiday - including burglars. 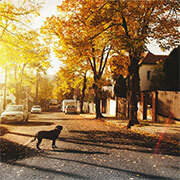 The SAPS provide you with some tips on ways to protect your home and possessions. 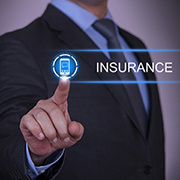 Are you insured for replacement value? 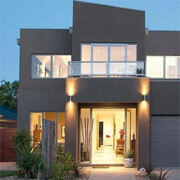 A new survey reveals that it is almost 30% cheaper to buy an existing house than rebuild one. 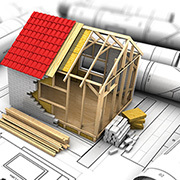 As a result, it is vital that you consider the rebuild cost when insuring rather than the market value or you may be left underinsured. 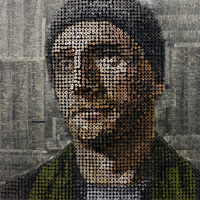 Andrew Myers blends modern material with classical figurative technique. It is his unification of these three characteristics that results in the innovative and modern artwork that captivates viewers and has been so highly acclaimed nationwide. 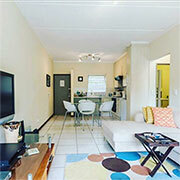 The new CPA (Consumer Protection Act) poses many benefits to the South African public, however, the act itself does enforce legislation that could negatively affect landlords and property managers earning a living in the rental market. 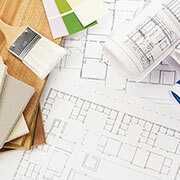 There can be few things in life that are theoretically more satisfying than designing, or even remodelling, your own home. 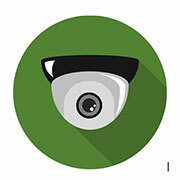 Making sure everyone knows where to go in case of an emergency, can be the key to protecting your home and family. 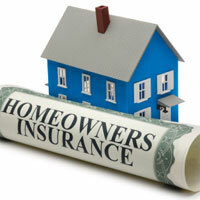 When you buy a home the bank requests that you take out a comprehensive insurance policy to the value of your home. 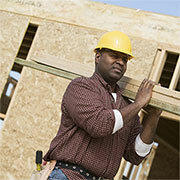 This home owners insurance covers the replacement cost of builders should anything occur. 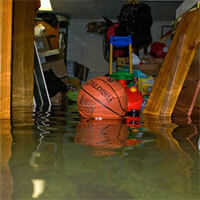 Water damage is the most common cause of household insurance claims. 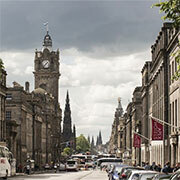 Not surprisingly, it is also the area in which most damages claims are rejected by insurers. The City of Cape Town is the first municipality in South Africa to launch a large scale pilot - with plans for a city wide roll-out - of a door to door recycling collection service. 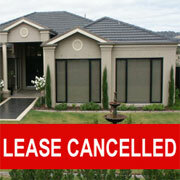 What most of us want is a nice property in an area to which we can easily and quickly travel to and from work. 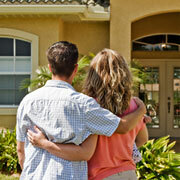 Buying a home is risky business. After a lengthy search, you’ve found your perfect house in the right suburb but neglected to investigate what lies beneath the surface. 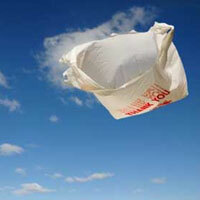 We’ve all seen images of birds and fish, with plastic grocery bags in mouth. 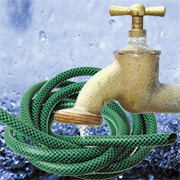 The toxins they carry are nearly impossible to eliminate as we don’t really know how if ever they break down naturally. 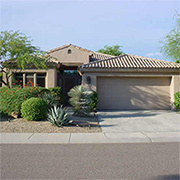 Puchasing a home is one of the biggest financial decisions you will make during your lifetime. Managed well, it can be a very rewarding investment over the long term. After hearing rumours, stories and goings-on about our water supply, and the purity thereof, I decided that it was time to take a closer look at the situation. Civil engineers may work to ensure that bridges are safe and that roads can easily handle large influxes in traffic, but they also build some of the tallest apartment buildings and most intricate residential communities. 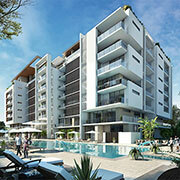 The biggest choice most people will make in their lifetime is in regards to where they will live. 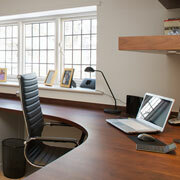 With all of the different options out there, finding the right living space will take a good bit of time and effort. 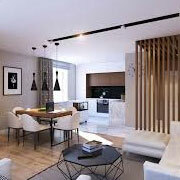 If you want to get value for your money, the following are some essential tips to consider when selecting a place for a condo development. 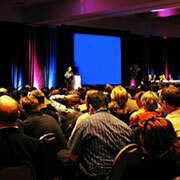 Hosting corporate events can have many advantages. It can help you in expanding your brand, building connections, implementing ideas, learning leadership skills, attracting investments etc. 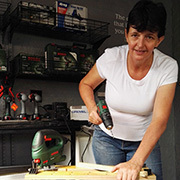 On Saturday 12 August 2018, the DIY Divas in Randpark Ridge will host an Intermediate Power Tools Workshop. 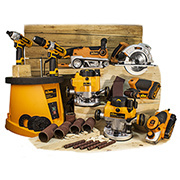 Take your DIY to the next level and learn how to use a variety of power tools. 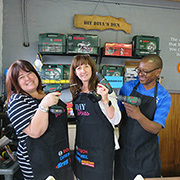 By popular request the DIY Divas will be presenting a DIY Guys workshop for all the men out there - young and old - who want to find out the basics of using assorted power tools and woodwork techniques. 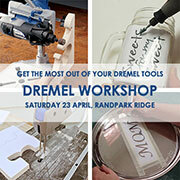 Join Janice Anderssen of DIY Divas this Saturday 23 April 2016 in Randpark Ridge and discover the versatility of the Dremel range of tools. 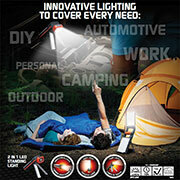 Energizer Light Fusion technology allows you to light up in so many ways. 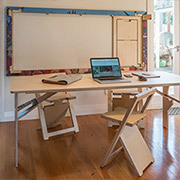 Creativity can hit at any time of the day, and since many DIY-ers work in garages, workshops - or even outdoors - lighting up your work area is now easy - even when the power goes out. Most people fail to realize just how hard it can be to own a business. There are a number of things a small business owners have to deal with on a daily basis in order to maintain a level of success. Among the most stressful experiences most people will have in their life is planning out a large scale event. 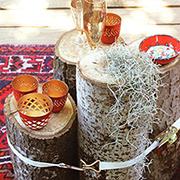 When it comes to planning an event like this, making sure all of the bases are covered should be a top priority. 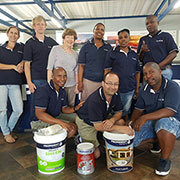 Prominent Paints has donated 80 litres of paint to a micro-business. 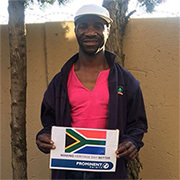 The paint company hopes its gesture will give the business a boost; a great way to commemorate Heritage Day and celebrate Mofokeng’s entrepreneurial spirit. BuildersBox - a double-story specialised paint store in an adapted steel shipping container - has opened its doors in Jabulani in Soweto. 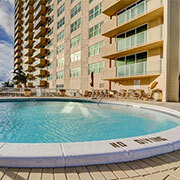 Are you looking for the perfect Oceanfront condos for sale in Singer Island? 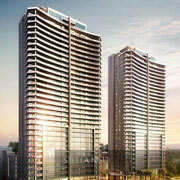 You cannot miss these perfect condos we’ve listed here! Studying to become a nurse or taking an advanced nursing qualification such as an MSN online requires a lot of hard work and dedication. 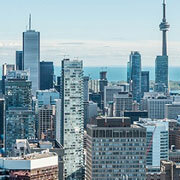 It is expected that in 2018, most housing markets in Canada will enjoy a cooler first quarter. This is contrary to the high demands in Toronto. 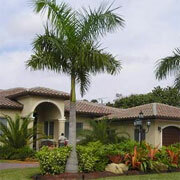 Being one of the country’s best real estate markets, it is not always possible to follow the national trends. 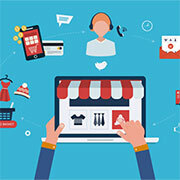 If you have a talent in DIY projects, consider showcasing your talents by creating an online boutique. Here's a roundup of 8 things you'll want to put on your checklist when deciding on the perfect neighborhood for you and your family. If you thought ladies are the only ones obsessed trends in the fashion industry then you're wrong. 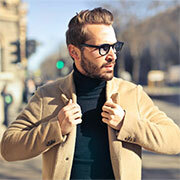 Men are also on alert not to be passed by any fashion trends that come up. 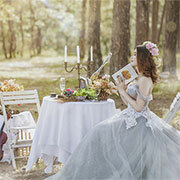 After fixing your wedding date, you have to deal with multiple tasks and here are some tips for planning your wedding. 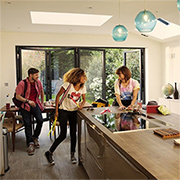 According to a new study into home improvement motivations by experts at Aspect property maintenance, 32% of UK residents say that being approached directly by a tradesman working on a neighbouring property had prompted them to make their own home improvements. How spy camera footage of a mouse went viral and melted hearts around the world. 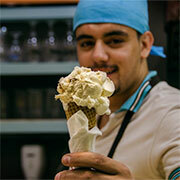 5 of the most important factors to consider while designing the ice cream shop of your dreams. The Internet is taking over the world; hence this is providing a lot of opportunities for people to earn money. 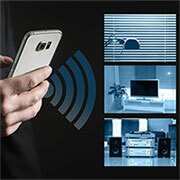 Today we have the luxury of installing home surveillance instruments such as cloud-based security cameras and motion sensors.